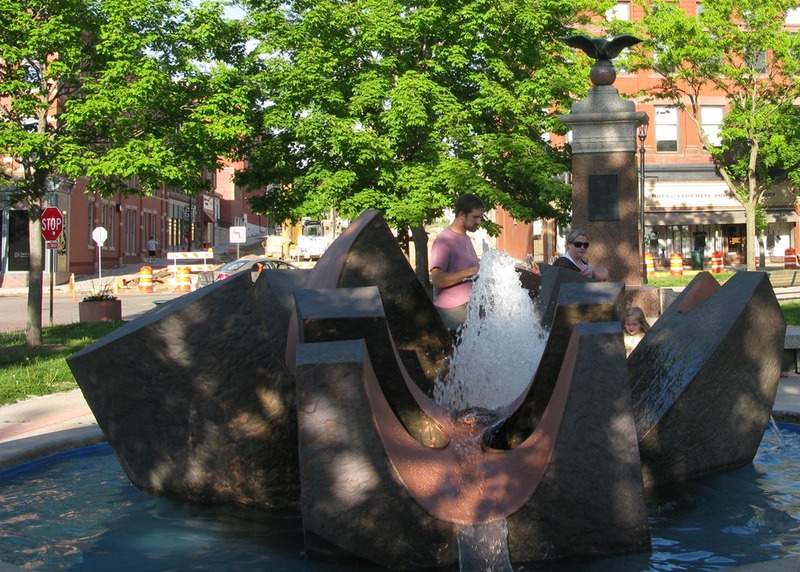 Is wading in the Sheldahl anniversary fountain on Bridge Square officially sanctioned? 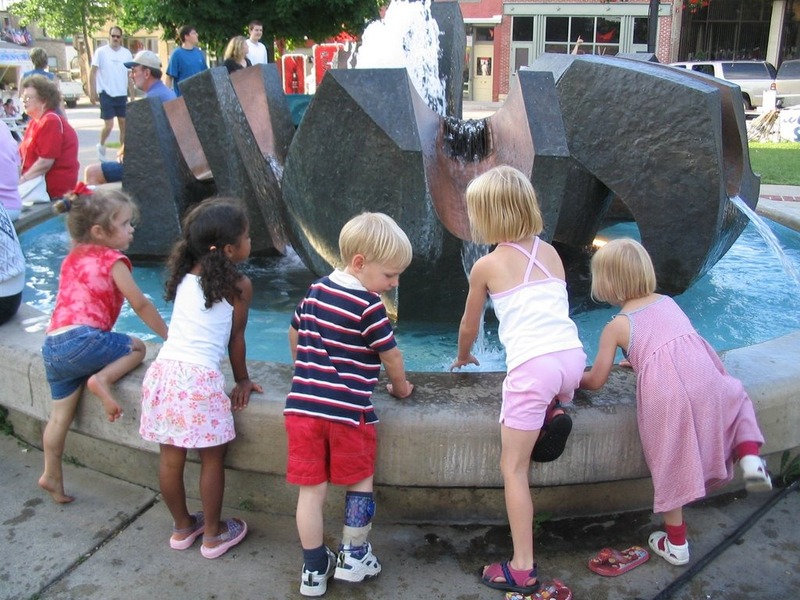 #northfield friends, quick poll: is it ok for kids to wade / walk in downtown fountain? i’d say not okay on a typical day but I certainly wouldn’t fault anybody for taking a dip today! I’ve never known it to NOT be okay for anyone to wade in the fountain, kids or adults. 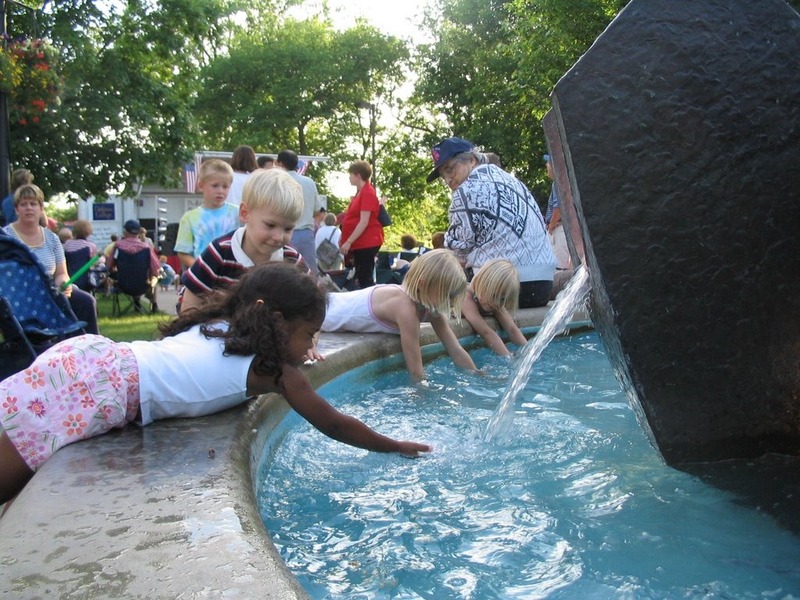 I’ve taken more than a few photos of kids wading there, eg, this photo from my Taste of Northfield 2010 album. But maybe TPTB just look the other way when it happens. 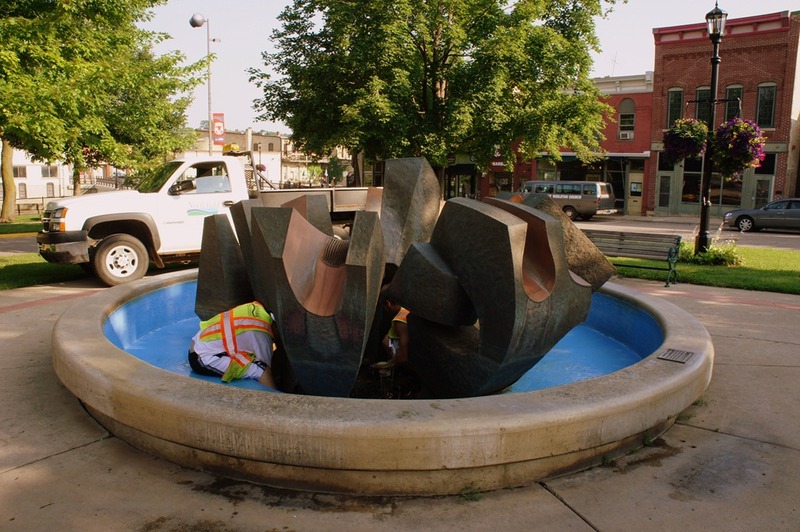 Is there any question on what Ray "Jake" Jacobson would say about folks wading in one of his public fountains? 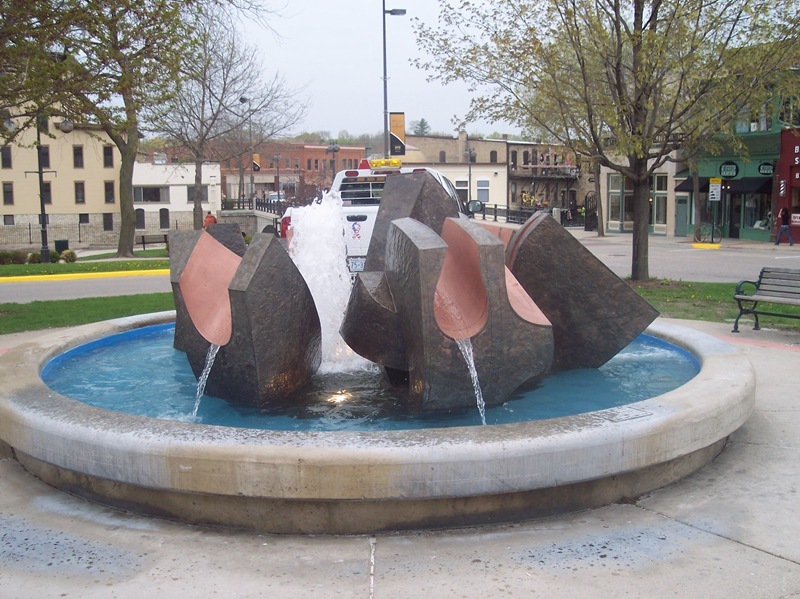 The Sheldahl Anniversary Fountain on Bridge Square is back in action as of yesterday. Is it just me, or does the height of water seem less than previous years (see photos here and here)? 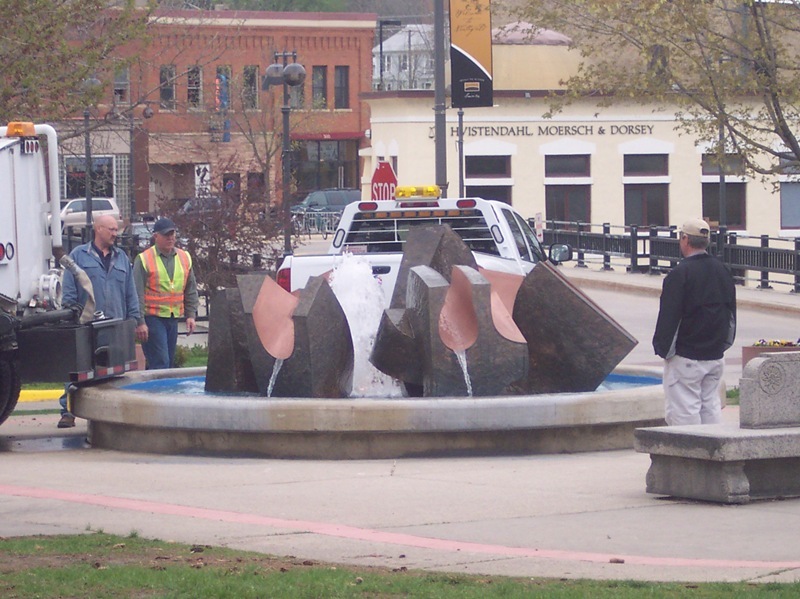 I wonder if the fountain is having, um, trouble like some guys I know? 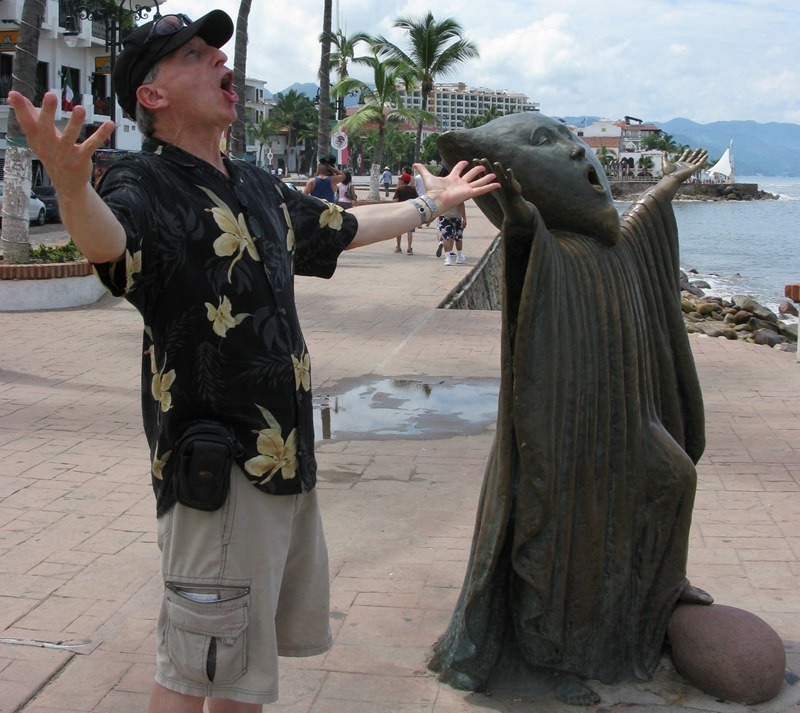 Back in the fall of 2008, I blogged some photos of the whimsical bronze sculptures on the Malecón, the oceanside boardwalk in the center of Puerto Vallarta, Mexico. 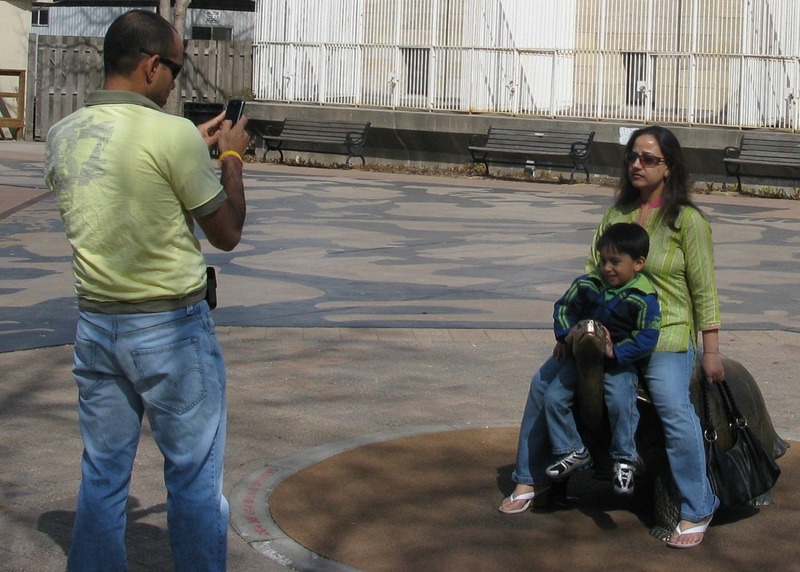 I was amazed at the scupltures’ ability to engage people for play and photos. 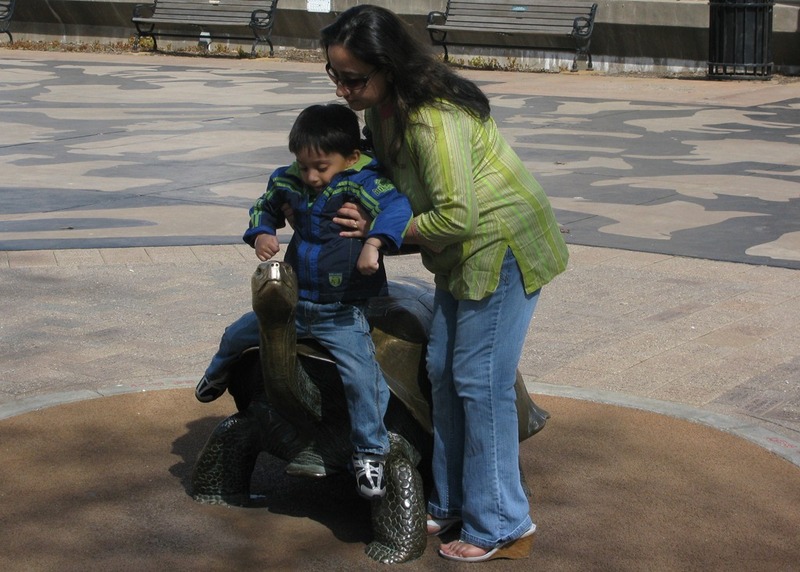 While at the Como Zoo and Conservatory yesterday, Robbie and I noticed the how the bronze sculpture of Toby the Tortoise on the Zoo Donor Plaza did the same. 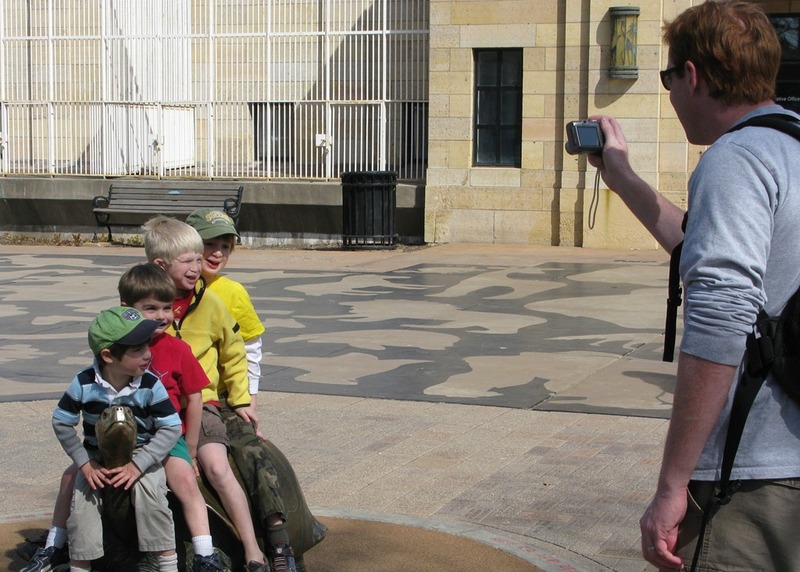 It was more entertaining watching people interact with the sculpture than it was watching the animals at the zoo which were mostly still inside and mostly napping. 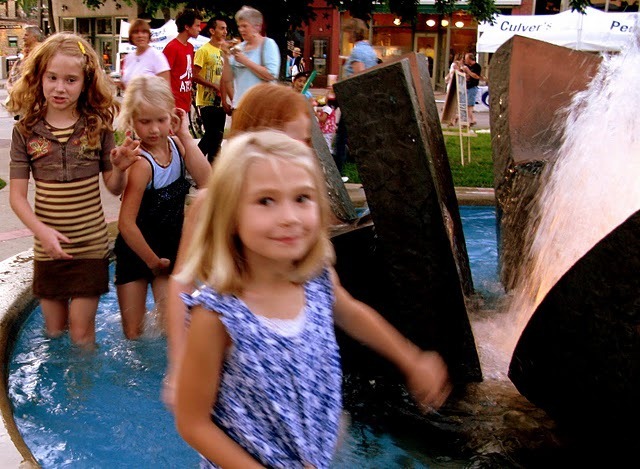 Ray Jacobson’s Sheldahl anniversary fountain on Bridge Square brings out the playfulness in people, especially kids. 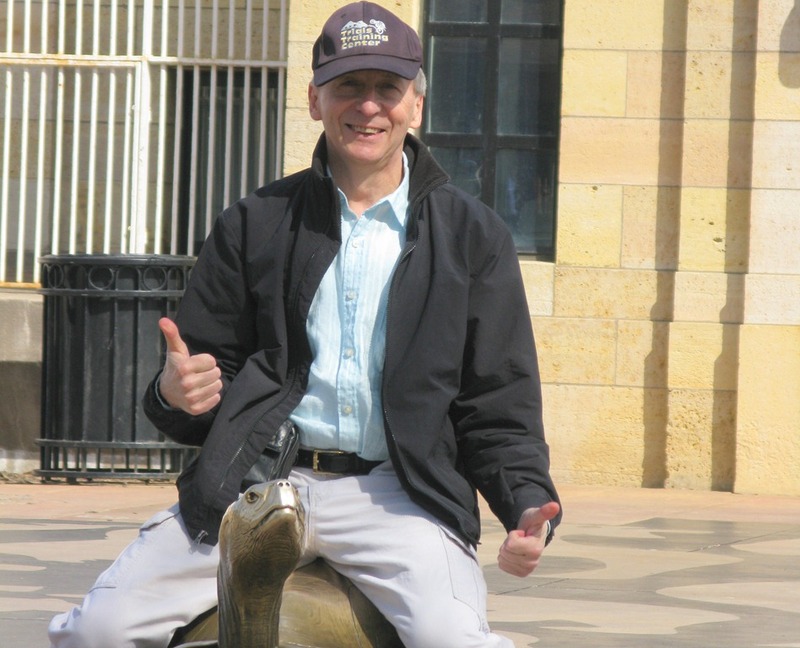 ‘Twould be cool to have more sculptures along Riverwalk that did this. I thought I would send you some more picture of a sure-fire sign of summer. 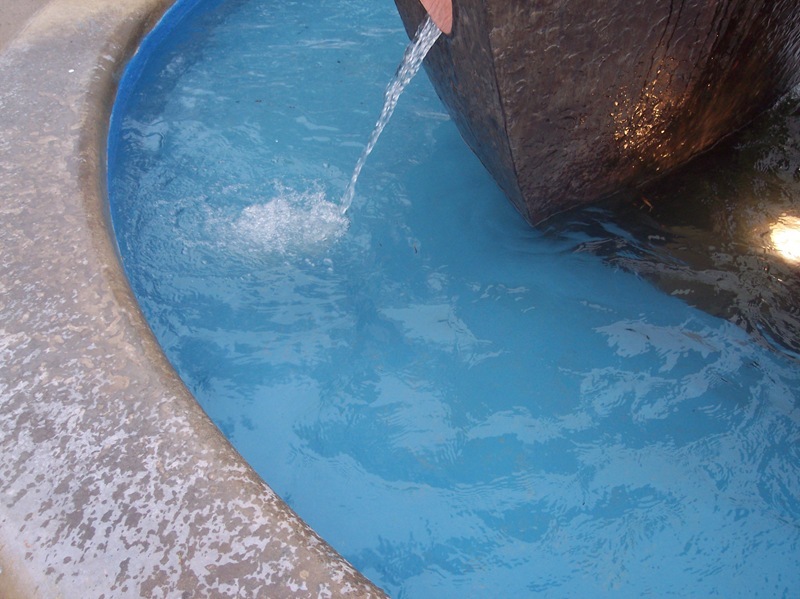 The fountain is up and running! If you notice there is a nice new blue paint job in water bowl.